After 18 years, band director Scott Bradley will be retiring at the end of this school year. Bradley went to a college in Michigan, where he earned a Bachelor’s degree in Music Education. In 1981, Bradley came to Kansas to attend graduate school, where he earned a Master’s degree in Music Performance. 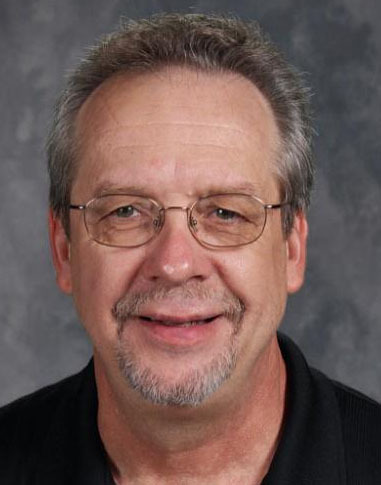 Overall, he has taught for 33 years, including in South Dakota, Goodland, Kan., Onaga, Kan., and Rock Creek. Throughout Bradley’s years at Rock Creek, one of his favorite memories with the band was making the seven trips to Disney World in Florida, one of which the band did in during this past Spring Break in March. Bradley also said that there was one “least favorite” experience. “[My worst memory was] going to the Cotton Bowl when it was freezing cold and raining; there was two inches of snow in 45 minutes,” Bradley said. Many students said that they will miss Bradley as their band teacher. Likewise, choir teacher Todd Walters, who has worked with Bradley for two years, said that Bradley will be missed. After retirement, Bradley said he will be moving to Parsons, Kan., in southeast Kansas, where his wife moved three years ago for a job, and he will be teaching classes at Independence Community College and Labette Community College. Meanwhile, the district has hired a new band teacher, Nate Craft, to take Bradley’s place.